The first time that I had homemade fresh Summer rolls, was when my siser, Jess, made them for me. Watching the process of creating these beautiful wraps was a bit overwhelming – it’s not the easiest thing to do, until you get the hang of it. 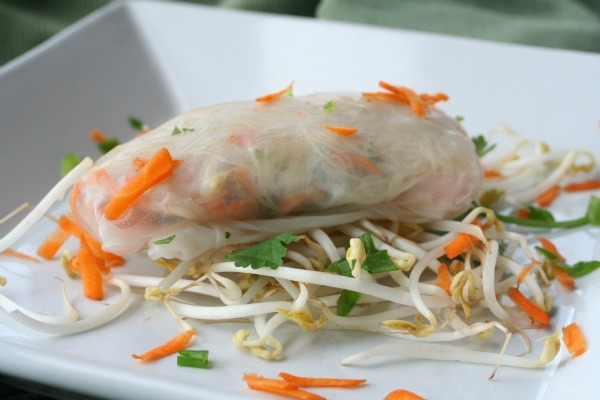 I love Summer rolls and have enjoyed so many variations of them at Thai and Vietnamese restaurants. I thought it was about time that I braved making my very own. This is my story in pictures…. Layout everything that you need on a large surface. Create stations and I promise prep will flow smoothly. You’ll need a rice wrapper station; this is where you will be humidifying the wrappers and getting them ready to be filled. Next, the filling station. 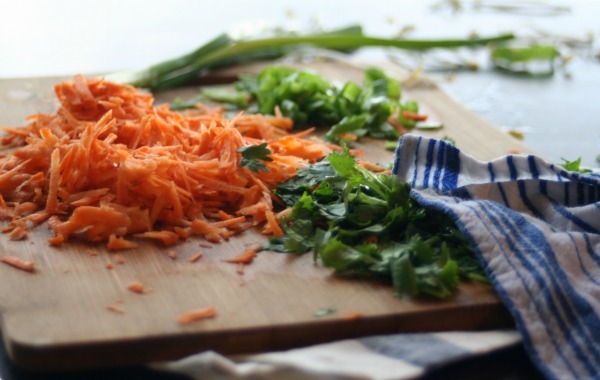 Have a large clean plate or cutting board, where you can lay the rice wrapper on and have your filling in a bowl, ready to stuff. Lastly, your completed station – your lovely finished Summer rolls line up here to be admired, if not eaten, by all who pass by. 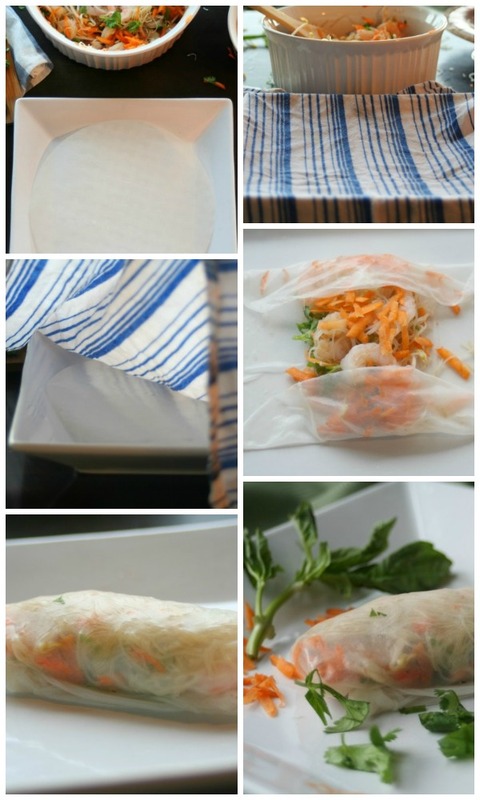 See images below for steps 1 through 6 of preparing, filling, and wrapping Summer rolls. 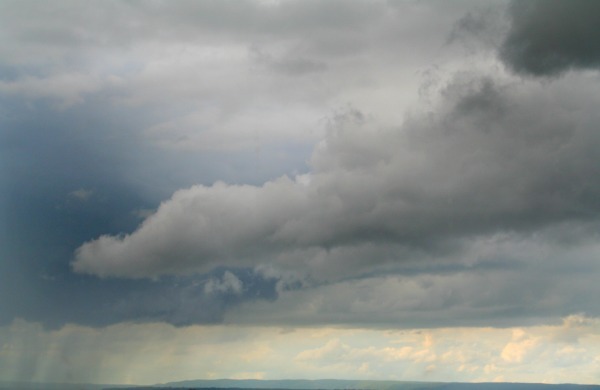 It was a moody, cloudy, rainy day when I decided to attempt my Summer rolls – which made taking pictures very tricky, from full light to overcast and back again, but the important thing is that you get the idea. A few rice wrappers were lost in the making of these little delights, they can be finicky my friends – be prepared for that, but don’t lose courage – press on and you too will be able to feel the pride that comes along with the art of making fresh rolls. 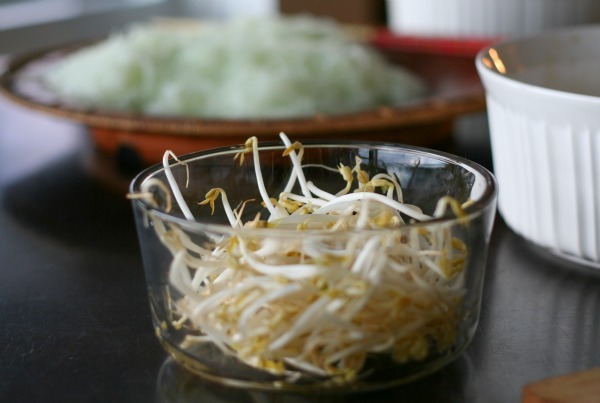 1 1/2 cups of thin vermicelli rice noodles, cooked, drained and refrigerated to 20 minutes. Additions: 1 cup of cold – cooked shrimp, cooked turkey, cooked tofu, fresh mango or mint – and just about any other yummy thing you can think of (for these rolls, I added shrimp). 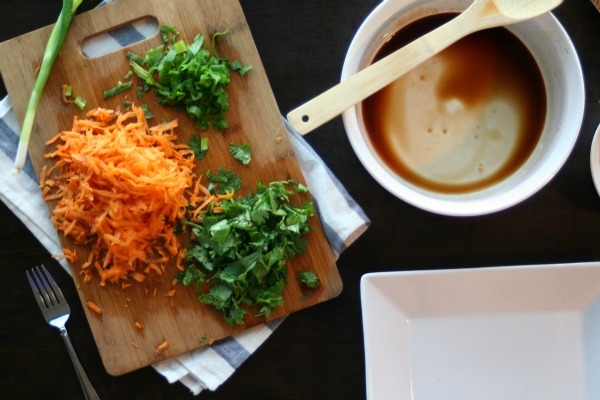 In a large bowl, mix together gluten-free soy sauce, rice vinegar, fish sauce and honey. Add all ingredients for the fresh rolls into the large bowl and toss the mixture around, coating it with the sauce. In a large dish, add hot water (not boiling). Submerge a clean towel in the water. On a flat surface, lay a dry rice wrapper and place the hot towel on top. Allow 30 sec – 1 minute for the wrapper to soften completely. Lift wrapper up and place on clean working surface or dish. In the meantime, place another dry rice wrapper under the hot towel to soften. Begin to fill the first wrapper with 2 Tbsp of filling mixture – spread horizontally. As shown in the above image, fold in the top and the bottom of the wrapper first, then roll in the sides. You can use a dab of water to seal the wrapper in place. 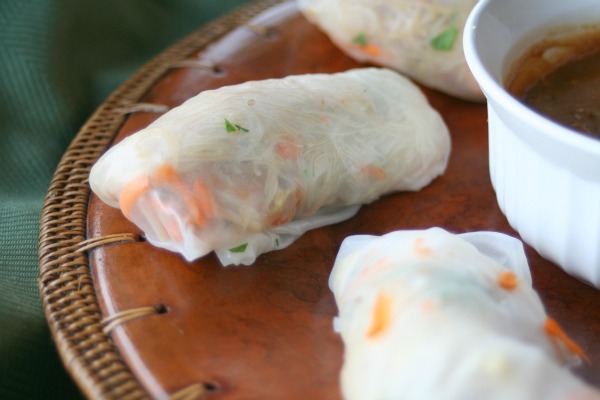 Put prepared Summer rolls on a serving platter as you make them. Serve with your favorite dipping sauce and enjoy! In a small bowl, mix all ingredients together. Use a fork at first and then a spoon. This makes a thick sauce, if you would like a thinner sauce, add more water and lime juice. 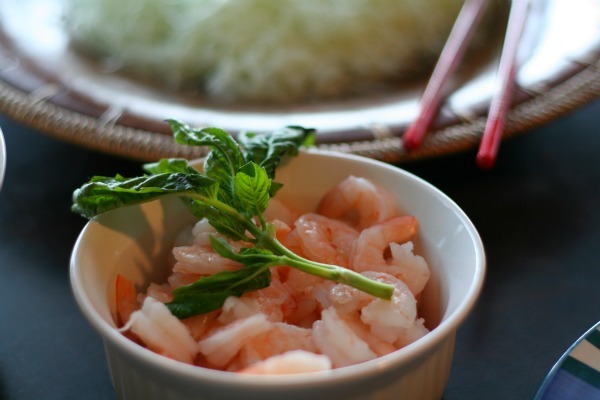 Perfect for dipping your Summer rolls in! I love and do rice rolls quite a lot, beause they’re not only simple, but very fresh and delish esp for summer, and very versatile too as I can stuf whatever I want into these rolls (: I love your thai take on it! Now that I actually know how to proceed, I’m definitely going to be making them more often…and like you said, the options are endless! I think your pictures look great. I used to eat these on very hot days in Paris. I was a broke student. They were cheap, quick, and not hot. Hahaha, thanks Jayme – I want them for dinner again too! I love all variations of these rolls and can’t wait to try some with mango and mint – like my sister made for me once. But, yeah – the rice wraps are tricky, but once I got the flow going, it worked well. mmmmmm…. ginger! love that flavor in just about anything! Thanks for the inspiring pics, too! 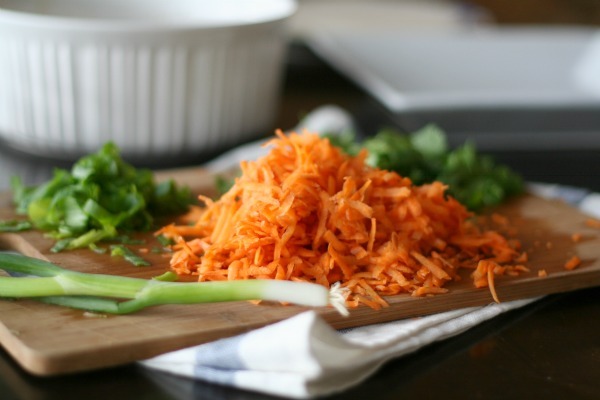 mmmm – i haven’t made peanut sauce in ages! now i am craving some. yummy. Wonderful photos! I’m bookmarking this, my fiance loves Asian inspired foods! Love summer rolls. So glad I found your recipe! Hi Susan, nice to have you stop by! Ever since I made this earlier this week, I can’t stop thinking about the sauce…definitely going on next week’s menu 🙂 Have a lovely weekend! I’m glad you can use this recipe for your kiddo. I know allergies and food intolerances can be tough and finding creative recipes can be even harder. Hope you like this one! I LOVE summer rolls. I switched over from egg rolls years ago and never looked back! Great pictures and beautiful rolls. Wonderful, than I’m sure he’ll fall for these! 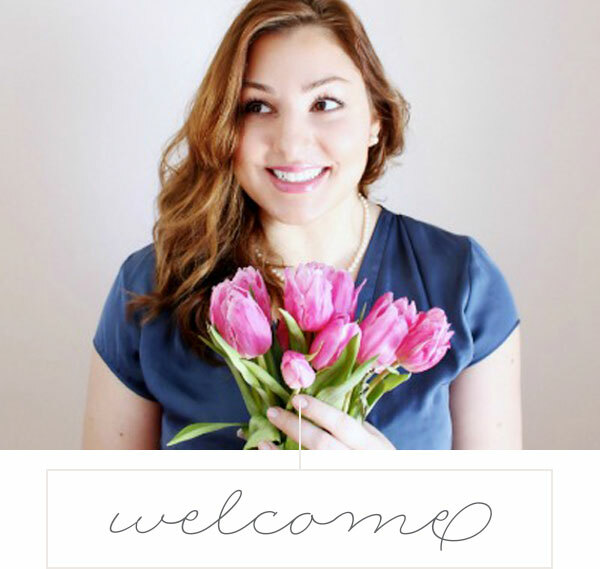 Thanks for coming by, off to check out your blog! A few tips…Once they were rolled, I let them dry a little on parchment paper and then put them in the oven at 250* just until they were dried out (hard on the outside). This makes them much easier to eat. Also, I used the magic bullet to get my peanut sauce smooth!